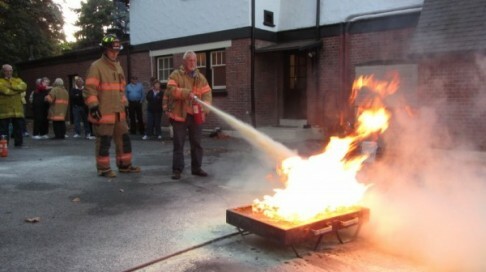 Oak Bay Firefighters hold fire extinguisher training in conjunction with the Oak Bay Fire Department. The course includes fire extinguisher theory relating to the different types and purposes, as well practical training in which participants will extinguish a live fire in our controlled burn pan. 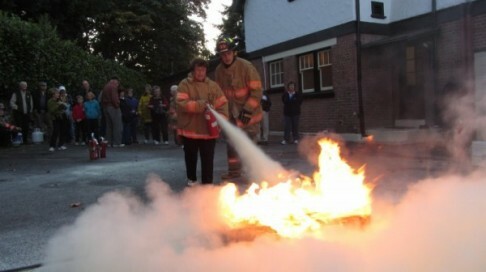 The course is designed to help the public become confident in the use of a household extinguisher. This free training courses can be scheduled by contacting the Fire Department secretary at 250-592-9121.